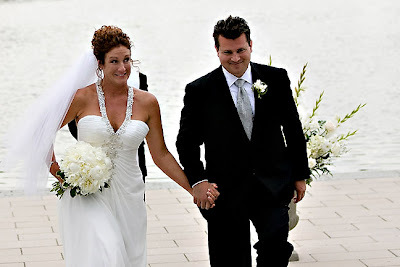 Meryl and Scott were married in June at the Grand Basin. They had a beautiful day for a wedding. 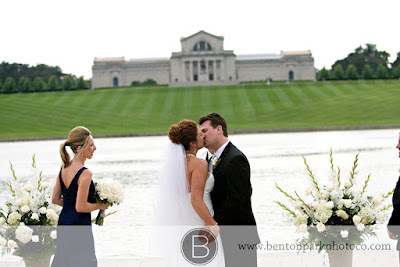 Take a look at these shots from Benton Park Photography. 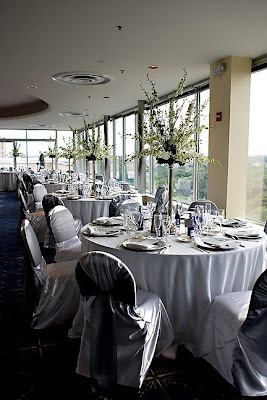 The wedding colors were blue and white. 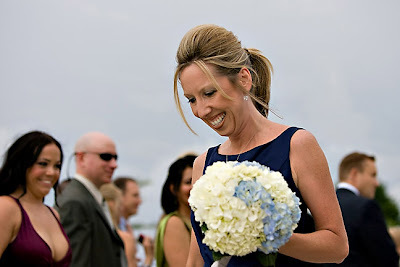 Meryl’s attendant carried a bouquet of all white and blue hydrangea. Meryl carried a bouquet of all white peonies with a rhinestone accent. 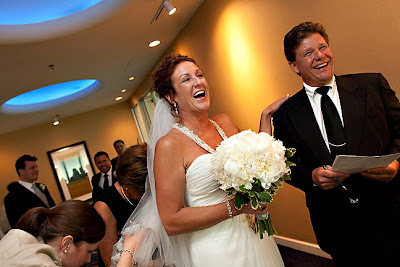 For the ceremony, we filled our two large urns with all white flowers to frame the couple and the scenery in the park. 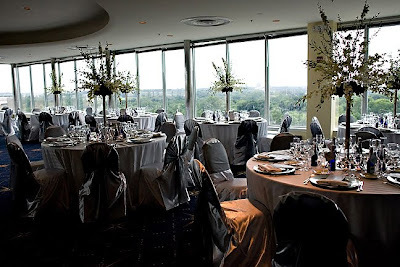 The reception was held at the Chase Park Plaza in the Zodiac Room. 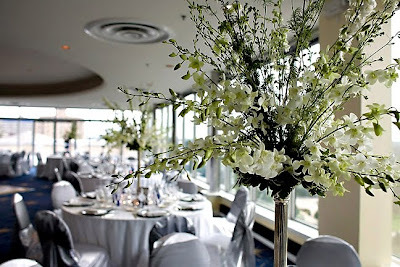 All of the tables had a tall silver stand filled with white dendrobium orchids. Thanks to the Scott and Meryl. It was fun working with you and we wish you all the best for your future together!